Last year, Apple announced the 12" Retina MacBook ultraportable. Today, the machine got its first update. There's a lot of things you'd expect and others that are a little surprising. Let's take a look at what the 2016 model brings. The 12" is based around a 2304 x 1440 Retina display. This doesn't change neither does the casing itself the difference is what's inside. The Broadwell Core-M has been traded out for its updated Skylake Core M3 counterparts. The new CPUs share the same clock speed, but are a bit more powerful. According to Apple, the new Intel Integrated HD 515 graphics are a not insignificant 25% more powerful than the HD 5300 of last year. The chips are also more efficient offering an additional hour of run time now between 10 and 11 hours. The flash storage has been upgraded to a faster PCI-E standard and system memory is now 1866mhz. For I/O, you still have two options: a 3.5mm headphones jack and a one-size fits all USB 3.1 Type-C jack. Many, including myself expected this port to be upgraded to Thunderbolt 3 with Skylake. That will presumably happen with updated MacBook Pros later this year. However, given the tasks this Core M-powered machine is expected to perform, one could argue that Type-C was good enough. Pricing and configurations for the 2016 MacBook are the same as the 2015 models starting at $1299 for the base model. 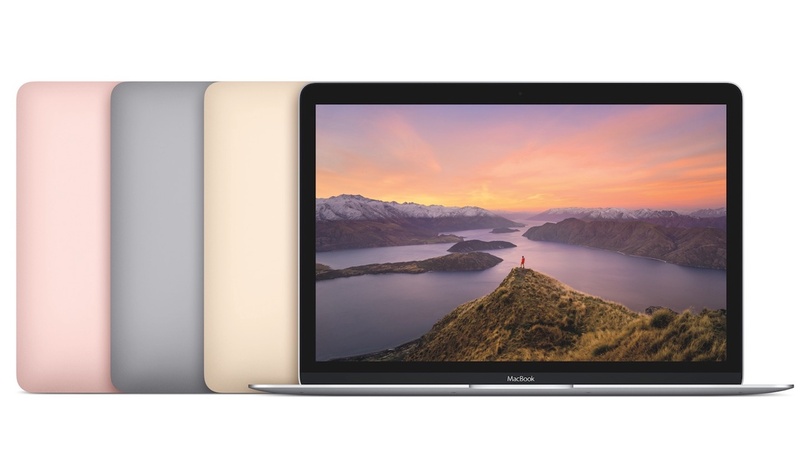 You can still order your MacBook in silver, space gray, and gold with fan favorite Rose Gold adding the fray for 2016. The MacBook's predecessor, the MacBook Air also received a minor refresh with all 13" models now coming standard with 8GB of memory.